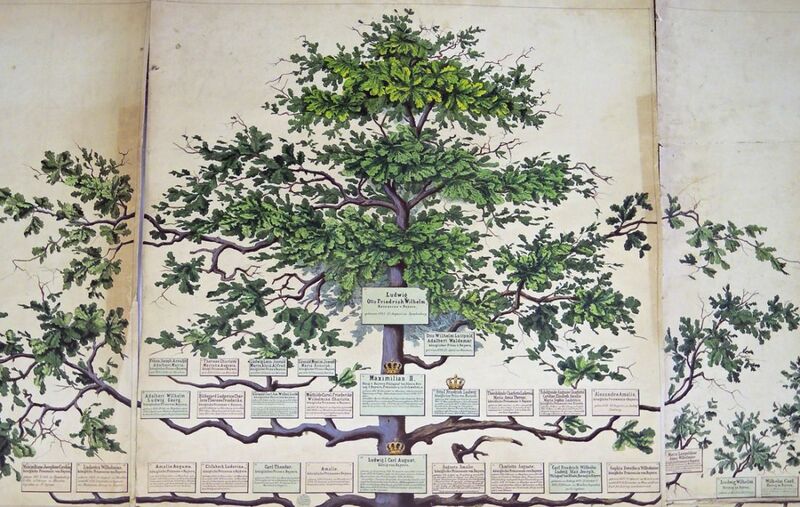 The Graphic Arts Collection holds several large format family trees, printed in an almost life-size tree. 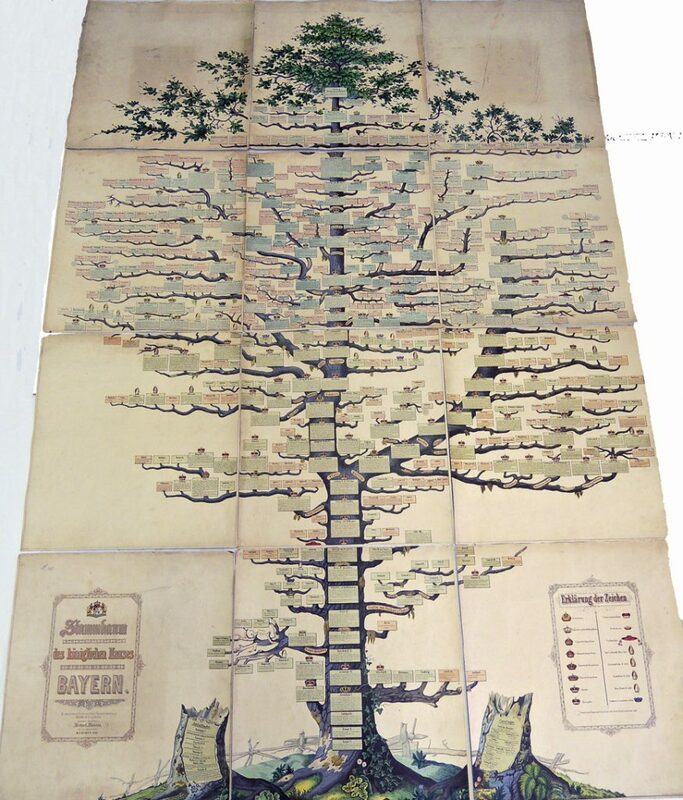 This one depicts the ancestry of the Bavarian Royal House, lithographed by the Wild’sche Firm in Munich. 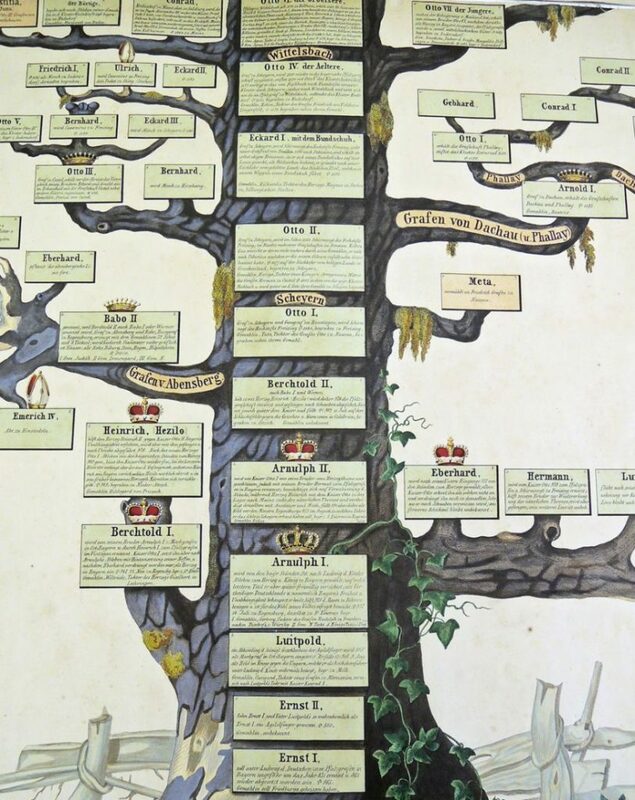 At the bottom of the trunk is Ernst I, Herzog von Bayern-München (1373-1438) and at the very top of the tree sits Ludwig II (Ludwig Otto Friedrich Wilhelm, 1845-1886), who was King of Bavaria from 1864 until his death in 1886. 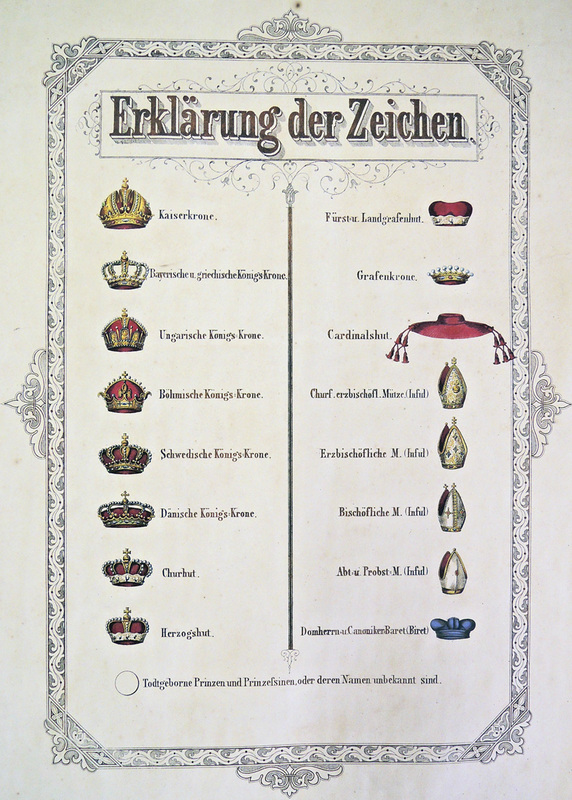 This was after the printing of our chart and so, Ludwig doesn’t yet have a crown on his name. 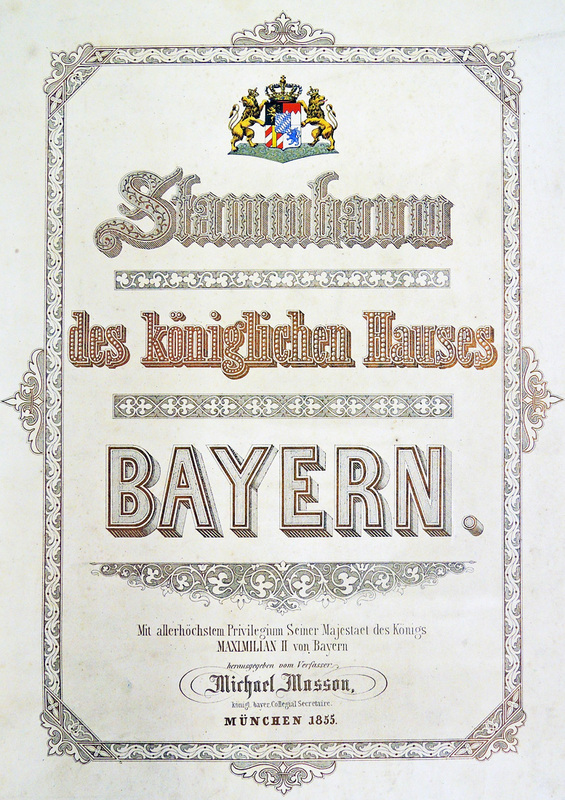 This entry was posted in Acquisitions, Museum object collection, prints and drawings on May 19, 2016 by Julie Mellby.